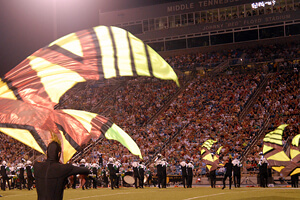 This article is presented by MarchingRoundtable.com. Founded in 1972, Drum Corps International will celebrate its 40th anniversary season throughout the coming months, and particularly when the world's most elite marching music ensembles take the field at football stadiums across the United States this summer. "We've come a long way since Drum Corps International's founding, from an organization that simply hosted a two-day championship series back in 1972, to one that now annually organizes more than 100 events on a national tour including our week-long World Championships," DCI Executive Director Dan Acheson said. 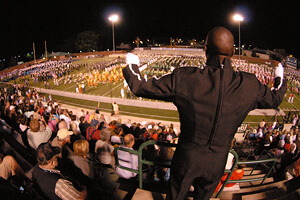 The 2012 Drum Corps International Tour will take place over 56 days from June through August. 45 corps are expected to put their caravans on America's highways this summer, traveling to 44 states to compete in a total of 101 events. The entire tour will culminate Aug. 9 to 11 during the DCI World Championship at Lucas Oil Stadium in downtown Indianapolis. Creating the Drum Corps International Tour schedule is a year-long process that begins before the previous year's season is even complete. Events, dates and locations are scheduled following a complex series of considerations that include calendar dates, historical attendance data, and the travel, logistical and competitive needs of the corps. "We've spent many hours at the tail end of last summer and into this fall coordinating event dates and travel schedules with the corps directors," Drum Corps International Director of Events Susan Kuehnhold said. "This current version of the schedule may change slightly as we continue to finalize corps schedules, stadium locations, and sign off on event contracts, but we're excited to be moving forward with preparations for this milestone season." 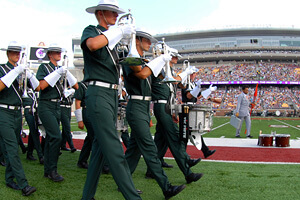 The 2012 Drum Corps International Tour will get started on Saturday, June 16 in Akron, Ohio, featuring a lineup of East Coast and Midwestern corps including the Blue Stars, Bluecoats, Cadets, Carolina Crown, Cavaliers and Phantom Regiment. 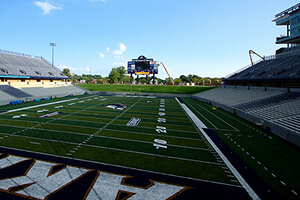 Following last year's successful June theater broadcast which brought the kickoff event of the summer season to 436 movie theaters across the country and an audience of more than 23,000, DCI's "2012 Tour Premiere" is currently scheduled to be recorded live in Akron and aired in theaters the following Monday. Competition among the western corps will get started on June 19 in Albuquerque, N.M., followed by events in Arizona and California just days later. In addition to the usual cadre of western corps like the Blue Devils and Santa Clara Vanguard, also highlighting the schedule of Pacific events in June will be Phantom Regiment and the Boston Crusaders. This will be the first early-season tour of the region in the history of the Crusaders who are currently planning on hosting their entire spring training in California prior to hitting the road. It will be a return trip for Regiment members who will be making their fourth trip west in the last six years, most recently in 2011. "Every show we went to out west last summer had great crowds and even a few sellouts. The support and reception we received from the fans was tremendous—from the show, to the souvenir booth, to the parking lot afterward," Phantom Regiment Executive Director Rick Valenzuela said. Look for Phantom Regiment and Boston Crusaders to both be featured in the lineups at Clovis, Stanford and Stockton, Calif. in June before the Crusaders travel to events in the Pacific Northwest. Drum Corps International's Premier Events are a collection of some of the most prestigious stops on the annual DCI Tour. 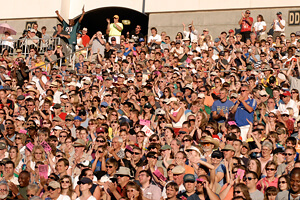 These events are often produced in larger, collegiate and professional sports stadium facilities on key weekends throughout the summer months to the delight of some of the biggest crowds of the season. Among the early-season Premier Events on the schedule will be a return to the University of Louisville on Sunday, June 17, Stanford University on Saturday, June 23, the Florida Citrus Bowl in Orlando on Saturday, June 23, and Ball State University in Muncie, Ind., on Friday, June 29. Anchoring the big Saturday events on the 2012 Tour schedule in July and August will be a return to Western Michigan University in Kalamazoo on July 7, Sports Authority Field at Mile High in Denver also on July 7, the University of Minnesota in Minneapolis on July 14, the DCI Southwestern Championship at the San Antonio Alamodome on July 21, DCI Atlanta at the Georgia Dome on July 28, and the DCI Eastern Classic on Friday Aug. 3 and Saturday, Aug. 4 in Allentown, Pa. The San Antonio and Atlanta events will be the only two this season outside of the World Championships that will feature a lineup of all 23 World Class corps in a single night. Some new faces will be on the field in San Antonio, as Jersey Surf makes its first trip to the Lone Star State since coming out as a World Class unit in 2009. Executive Director Bob Jacobs says that his corps' first trip to the Alamodome will be one to remember. "This will be another milestone for the Jersey Surf organization. Although we will still be maintaining our first tour/second tour format where our members take several days off between the two, our ability to meet up with the rest of our World Class brethren in Texas is very exciting for everyone on our team." In tandem with the Texas series of events, the Individual & Ensemble Competition for World Class corps will take place in downtown San Antonio on Sunday, July 22. 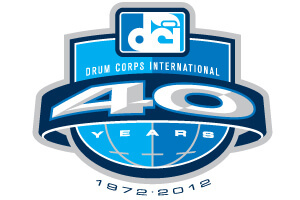 "Connecting the dots" between the schedule of Premier Events will be the bulk of the 2012 DCI Tour schedule. These sanctioned events in cities like Sioux Falls, S.D., Whitewater, Wis., and Rome N.Y., serve as important performance opportunities and waypoints for the corps as they crisscross the country from one tour stop to the next. "The members of our Tour Event Network who produce, promote and manage those events help create the base for the entire DCI Tour, says Kuehnhold. "We're very fortunate to have committed partners who help lay the groundwork for our corps to help them safely move from city to city across the United States." 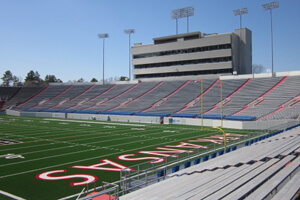 Floyd Stadium at Middle Tennessee State Univ. Debuted in 2011, the Tour of Champions (TOC) series gave eight of DCI's top corps the opportunity to test the waters of a new nontraditional event format. Sideshow-like pre-show performances, special musical numbers prepared by the corps outside of their standard competitive productions, and an incredible en-masse finale at the end of each show allowed fans up-close and exclusive access to exciting live entertainment. "Last year's Tour of Champions series was pretty much an overwhelming success, but as we put on those performances for the first time, we weren't always sure how some aspects would work in the five different venues," Santa Clara Vanguard Executive Director Jeff Fiedler said. "We're already planning on tweaking a couple of places to tighten the format and really focus this series as a celebration of the drum corps experience for fans and performers alike." 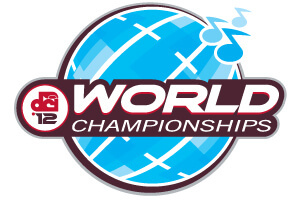 The 2012 TOC will feature the top eight corps from the 2011 World Championship Finals including the Blue Devils, Bluecoats, Cadets, Carolina Crown, Cavaliers, Phantom Regiment and Santa Clara Vanguard—all corps that participated in last year's series. 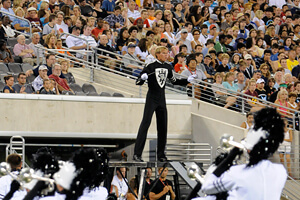 Taking the Blue Stars' place in the group after an 11th place finish in 2011 will be the eighth-place Boston Crusaders. Five Tour of Champions events are on the schedule for 2012 from mid-July into August with stops in Rockford, Ill., Houston, Texas, Murfreesboro, Tenn., Rock Hill, S.C. and East Rutherford, N.J. Following the same format as established in 2011, Open Class corps will kick off the week of World Championship festivities in Northwest Indiana. Their Prelims and Finals competition will take place Monday, Aug. 6 and Tuesday, Aug. 7 at Ames Field in Michigan City. This will be the fifth straight year Open Class corps have started Championships Week in Michigan City and the second that the OC Champion will be named outright before all of the corps head to Indianapolis to compete against the World Class corps. Championship events in Indianapolis will get underway the afternoon of Wednesday, Aug. 8 as Open Class corps arrive from Michigan City and host their Individual & Ensemble Competition at the Indiana Convention Center. Later that evening corps staff, fans and others will be invited to the annual World Championship Hall of Fame Kickoff Party that will be a breather before competition gets underway Thursday morning. All World and Open Class corps will compete against each other as the World Championship Prelims get started the morning of Thursday, Aug. 9 at Lucas Oil Stadium in a marathon event that will feature more than 40 corps. The top 25 scoring groups no matter their class designation will advance to the Semifinals on Friday, Aug. 10, with the top 12 making their way to the biggest event of the entire summer season, the World Championship Finals on Saturday, Aug. 11. 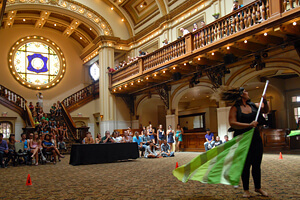 Also on Saturday prior to the Finals competition will be the second annual Celebrate Indy Arts! Parade, which will feature all non-finalist corps and local Indianapolis arts groups set against a backdrop of the striking Indiana War Memorial and American Legion Mall. With corps across the country getting their audition and rehearsal camps for the 2012 season underway, the first step toward the summer season has already been made. But you don't have to be performing on the field to be a part of all the excitement that DCI's 40th anniversary season will hold. Two-day ticket packages to the DCI Eastern Classic in Allentown are currently available through the DCI Box Office. Scheduled to go on sale starting Monday, Dec. 5 through DCI and Ticketmaster will be nearly 15 events including the DCI Atlanta Premier Event at the Georgia Dome and single-night tickets to the DCI World Championships. Sign up for Drum Corps International's "Box Office Alerts" at DCI.org/fans to receive e-mail notification when tickets to events near you will be going on sale. Drum Corps International Executive Director Dan Acheson discusses details of the 2012 DCI Tour Schedule in one of the latest podcasts at MarchingRoundTable.com. Listen to the podcast. 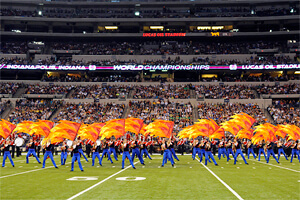 World Championship Semifinals Lucas Oil Stadium, Indianapolis, IN Friday, August 10, 2012 Celebrate Indy Arts! Parade American Legion Mall, Indianapolis, IN Saturday, August 11 World Championship Finals Lucas Oil Stadium, Indianapolis, IN Saturday, August 11 Drum Corps International has reserved special blocks of rooms at many downtown Indianapolis hotel properties to put you only steps from all the excitement of the 2012 World Championships. Visit DCI.org/IndyHotels to view available properties and book your reservation today. 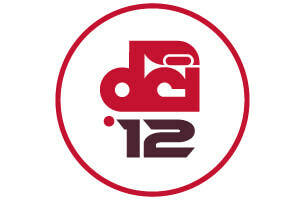 All 2012 DCI Tour dates, locations, events and lineups are subject to change.